Ronald Blackburn-Moreno has been President and CEO of the ASPIRA Association since 1994. Prior to joining ASPIRA, Mr. Blackburn-Moreno worked at the College Board and the Quality Education for the Minorities Network in Washington, DC. Before coming to Washington in 1990 from Puerto Rico, he served as Assistant to the President of the Ana G. Méndez University, Director of Development of the 11-campus University of Puerto Rico System, Associate Dean of Academic Affairs at Inter American University and taught of Political Science at Catholic University of P.R. Ron is a member of the board and former Chair of the National Hispanic Leadership Agenda (NHLA), is former Chair and current Treasurer of the Board of the Hispanic Association on Corporate Responsibility (HACR) and is a board member of the National Puerto Rican Coalition. He has also served on corporate and non-profit advisory boards, such as the Wal-Mart External Advisory Board, the Coca Cola Council on Corporate School Partnerships, the NewsCorp/Fox Entertainment Advisory Board, and the Financial Services Roundtable Retirement Security Advisory Board and The Home Depot Advisory Board. 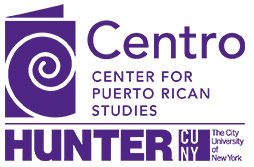 He also serves on the Center for Puerto Rican Studies Advisory Board at Hunter College, and the President's Advisory Board on Science Engineering and health at the Ana G. Mendez University System. He has appeared as an expert on many television and radio programs on education and the Hispanic community, including the Lehrer New Hour, ABC News, NPR, and PBS and is a regular guest on HITN’s Destination Casa Blanca with Ray Suarez. He has extensive consulting experience in the corporate, foundation and government sectors. He has received numerous awards and recognitions, and has been selected three times as one of the 100 Most Influential Hispanics by Hispanic Business Magazine (2001, 2004, 2009).